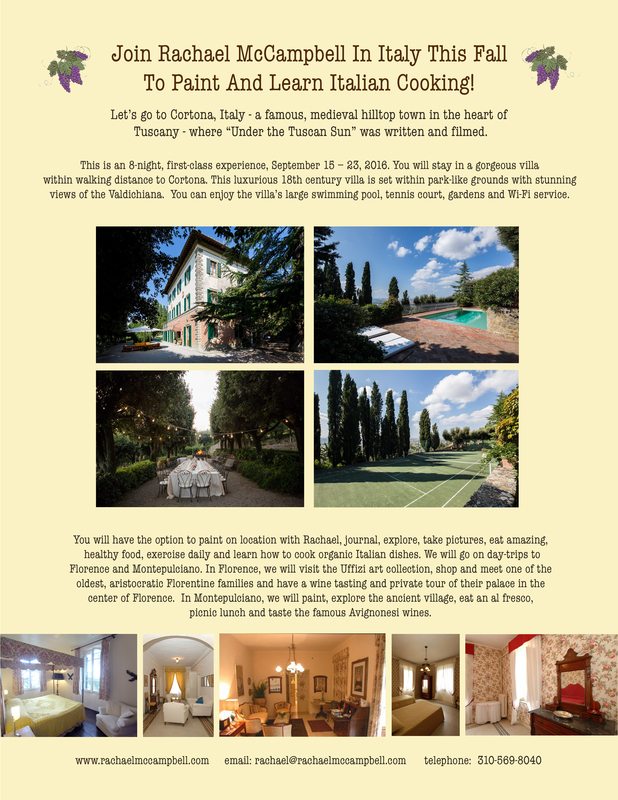 Come join us in Italy this fall for 8 nights of first-class fun! September 15 – 23,2017. 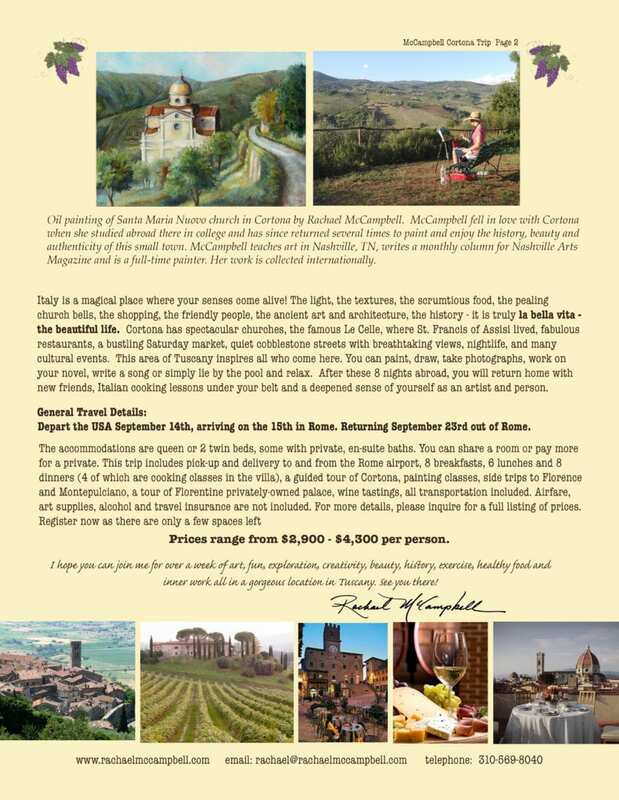 This will be an amazing trip to Cortona where we will paint, travel, learn how to cook Italian food and make new friends. We will stay in a gorgeous villa on 5 acres of olive groves. Good Artists Borrow, Great Artists Steal…But Do They Sleep Well At Night? Please keep me posted as to your next trip to Italy. I would also like to know more about your classes.